The 2017 Channel 4 Restoration of the year and birthplace of the National Eisteddfod is one of the most original wedding venues imaginable. Featuring elegant regency lawns, a Georgian Mansion house, award winning architecture, all housed with medieval walls, Cardigan Castle is the first choice wedding venue in west Wales for those seeking something truly unique. Choose from our range of amenities such as the beautiful, lofty tower room or our award winning 1176 restaurant to hold your ceremony followed by a drinks reception flowing out on to the lawn. Greet your guests from the first floor balcony before enjoying a wedding breakfast and speeches in our pavilion. The pavilion is the perfect location to allow your style and taste to come through. A blank canvas to make it a truly unique wedding. Dance the night away with friends and family without worrying about leaving and saying goodbye. Our range of 5* accommodation can be all yours by taking exclusive use of the castle. Breakfast overlooking the beautiful river Teifi the following morning with friends and family, sharing memories of the special day before you set off on that relaxing honeymoon. 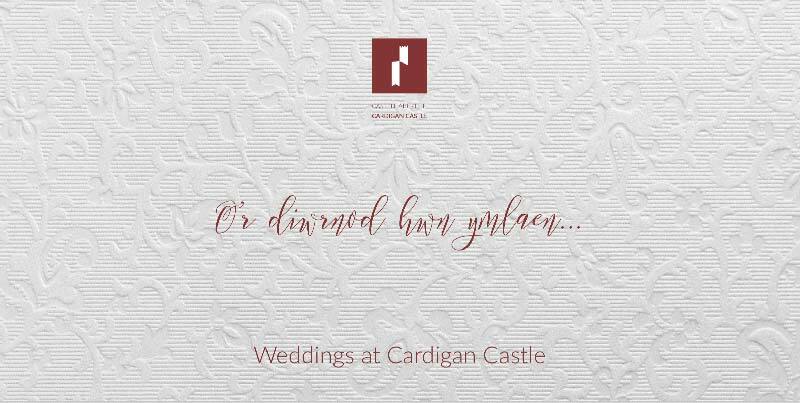 No two weddings are the same at Cardigan Castle, contact us today to see how we can create your perfect day, and add it to our 900 years of history. 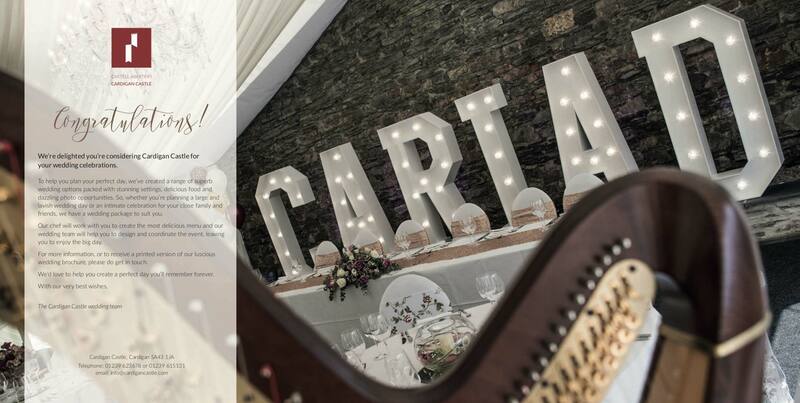 At cardigan castle, we do truly legendary weddings. To discuss how we can help plan your perfect day, contact our dedicated Weddings Co-ordinator Nia. Receive all the latest news, events and fantastic offers straight to your inbox.